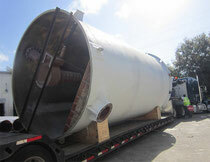 Custom FRP Fabrication and Installation - Premier Corrosion Protection Services, Inc.
New FRP Tanks and Cones - Custom fabrication and installation of FRP tanks and fittings. 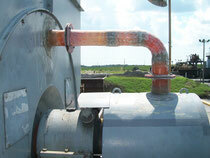 FRP Pipe - Fabrication and installation of various sizes of FRP pipes. 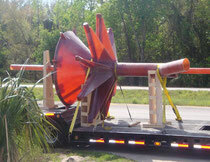 FRP Agitators and Turbines - Custom fabrication and installation of agitators and FRP turbines. 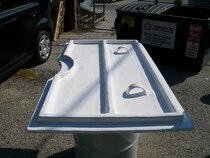 FRP Covers - Custom desgin and fabrication of replacement tank, equipment and agitator covers. 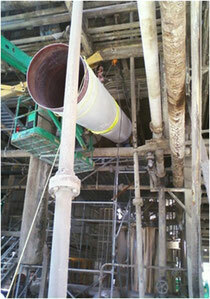 FRP Pipe Installation - Supply and installation of FRP pipes and fittings. 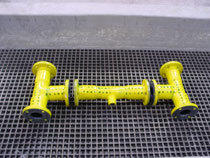 New FRP Pipe and Fittings - Manufacture of FRP pipes and fittings. 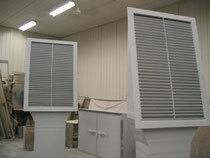 FRP Ducts - Cutom fabrication of ducts and ventilation products.